Top-shelf haircuts, straight razor shaves and booze. Ensure that every client is treated like a king. You will appreciate the attention to detail at Throne. From the highest quality professional haircuts and memorable conversations to our legit selection of liquor, beer and refreshments—we always go the extra mile to extend the royal treatment. Our barbers are dedicated to the best possible haircuts and straight razor shaves each time you're seated on our custom-built leather chairs. With our ideal location, elevated interior and top-notch products, you walk out feeling like a king. Love the Throne experience? Drop us a line. Throne is dedicated to the best possible service for our clients. Our highly skilled barbers make it all possible. We're expanding the empire and looking for skilled barbers that want to join the team. 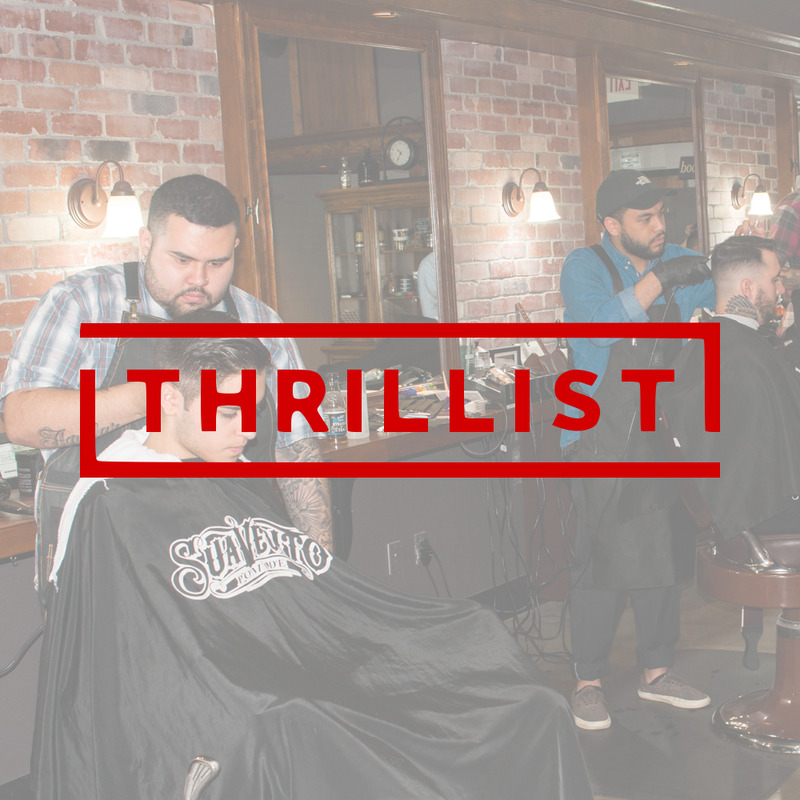 "Other visual stylings like exposed brick and custom-made barber chairs (or "Thrones"— hence the name) combine with well-educated barbers to make this a go to spot for Portlanders and visitors alike." "This shop is not old... But it has the old-school philosophy, experienced barbers, and vintage décor, from exposed brick to an actual wall of liquor just like you'd find in a bar." "From the gyrating barber pole by the front door to the smartly restored vintage leather barber chairs, Throne embodies the old-school ethic of classic American barbershops. Customers can kick off their appointment with a drink at the handsome bar, choosing from a full slate of top-shelf spirits, served either neat or on the rocks." Prices are subject to change—contact us directly for current service offerings and pricing. Old-school, new-school, whatever your style. Throne is the spot when you're ready for the royal treatment. We require a 24 hours notice for appointment cancellations. Please respect your barber's time.